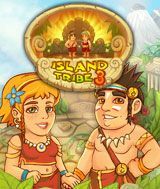 Download Island Tribe 3 for free at FreeRide Games! 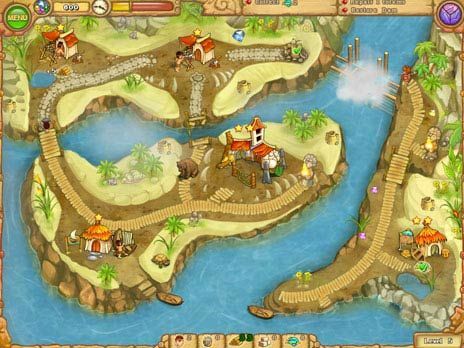 Having made a wish in front of the Altar of Wishes, the settlers find themselves back at their home island again in Island Tribe 3. The great volcano is no longer a threat as they look forward to a brighter future, and even romance, when the leader of the settlers falls in love with one of the girls in the tribe and decides to marry her. The wedding is set to take place in an ancient temple, but in order to unlock its doors, the islanders must find the pieces of magic runes scattered all around the island. In an alarming development, the bride is also kidnapped by an evil shaman! Dive into exciting island adventures and help the leader of the tribe find the magic runes and rescue his bride-to-be in this fun Time Management game so that they can live happily ever after! Construct useful buildings and collect needed resources including food and water. Restore magic totems to clear a path and reveal special surprises.